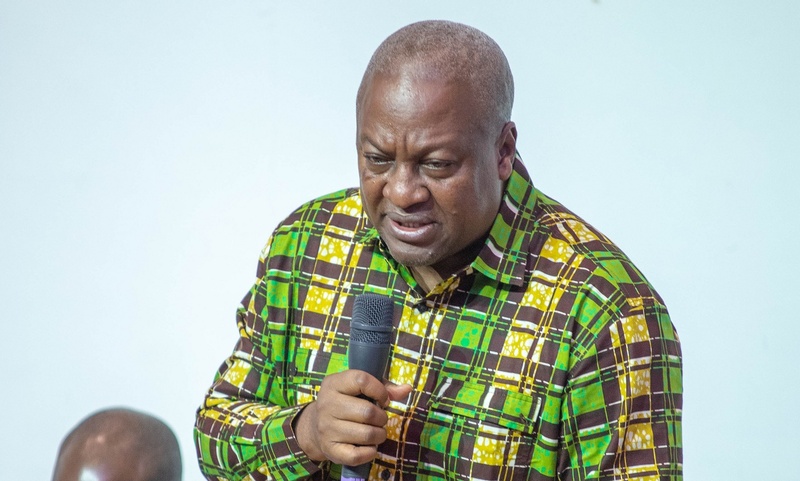 In recent times the NDC has had its political fortunes enhanced by the regrets and disillusionment being expressed by some known die-hard supporters of the Npp and Nana Akufo-Addo who constantly attacked the Mahama administration before the 2020 election. There is a consensus that the Akufo Addo administration has failed but what bothers the minds of millions of disgruntled Ghanaians remains which politician can displace Akufo Addo given his political base and planned 2020 agenda backed by a populist movement and a cult of personality cemented by the power of incumbency. Inadvertently, failure to fulfil his promises and improve the fortunes of the country has left many in distress stemming from leadership failure. There is no gainsaying that Akufo Addo is incompetent. The crux of the matter is the dearth of political leadership needed to situate Ghana as emerging power in the world and improve the lot of millions of Ghanaians that live in abject poverty. Consequently, the two major parties that would most likely produce the next president of Ghana, the anchor point for political leadership, are National Democratic Congress (NDC) and New Patriotic Party (NPP). The Npp being the party of President Akufo Addo is set to give him the 2020 ticket unopposed. However as things stand, the Npp has failed to deliver on its campaign promises consequent on the leadership failure of Akufo Addo. In effect, except the Npp rescinds its decision and prevail on Nana Akufo Addo to jettison his ambition, the party stands a big chance of losing out to the NDC which remains Ghana’s largest political party and the last hope of the common man to rise from growing poverty. It is no gainsaying to unambiguously propose that the NDC has a better chance of winning the Presidential election in 2020 than the Npp but its choice of presidential candidate is a crucial variable in this political permutation. Former President Mahama’s decision to contest has taken political watchers by surprise as many expected him to seek reprieve from the constant attacks on his person and his government by the Npp who saw him and still sees as its main adversary because of his gargantuan achievements and powerful political profile. His political dexterity awes the politically savvy as they long to have a man of his pedigree and sagacity lead the NDC. Mr Mahama is accorded recognition as the father of modern governance in Ghana given his type of politics which is devoid of rancour and acrimony, focused on the good, development and advancement of Ghanaians. The standard he set in office, his type of politics have raised the country’s leadership bar making things difficult for his successor. Nana Akufo Addo’s characteristic bluster and bombast have begun to wane. In his recent speeches, he has described his critics as naysayers, doomsayers, blamed the previous administration for his low performance, economic ills, painted himself as an outsider. He the victor turned victim? Three years ago, when Nana Akufo Addo won his landslide, he promised economic growth, corruption free Ghana, factories and jobs. But under his leadership and at a time when the world economy appear to be taking off, Ghana is looking like a sorry outlier, battling an economic slowdown, banking crisis, serious currency depreciation and a job crisis. Banks are still struggling with mountains of bad loans, which in turn is choking credit and hurting domestic investment. Ghana’s economy is grounded under Akufo Addo. Ghana was much more secured, prosperous and economically viable under Mahama than we witnessing today. The people who propagated disappointment in the people have become victims of their negative designs. These people, led by the current President Nana Akufo Addo, continuously wasted time of Ghanaians for years and made efforts to obstruct the journey of development. Ghanaians will again reject these elements in thein the 2020 election and their negative politics will be permanently died down after defeat in the general elections. Without doubt in the NDC, the battle is between John Mahama and the rest of the aspirants. Ghana needs a competent leader not a strong leader. The latter was one of the major pivots on which Akufo Addo achieved victory in 2016. Many felt strong man leadership was needed due to what the opposition said about the incompetent and the impression they created in the minds of Ghanaians that corruption and indiscipline were pervasive in the Mahama administration. A strong man would destroy institutions whereas competence of leadership is a very important variable in bringing about stable political transition, good governance and deepening of democracy. Mahama’s vast political experience and credentials, his proven leadership qualities and command over the party’s affairs stand him in good stead in these crucial times. What is needed is a leader who is focused not on promoting advantage for particular groups or special interests, but on unifying the party around a properly articulated plan to take the NDC to the next level. The NDC can use Mahama’s one term to organize itself properly and build a formidable structure for selecting its leaders. The four years (second term) could be used to clear all the emerging cracks and forces. Mahama seems to have reasonable control over the party folks and command huge respect across the party’s lines. The party should take advantage of his demeanor, image and leadership qualities the four years to build a stronger base and a more united party. None of the aspirants has the political muscle to defeat Nana Akufo Addo and that must be established. Ghanaians have already picked their preferred candidate for the NDC. The choice of John Mahama is as result of this government’s abysmal performance. There is no doubt that the NDC parades a galaxy of stars each possessing intimidating credentials and proven track records of excellence in service. Each of the aspirants is eminently qualified to lead. The question however is which of them is capable of matching the populist narrative and cult like image molded of Akufo Addo by the Npp spin doctors and the can bring all the emerging forces in the party under one canopy. A lot has been said about the strength of the various aspirants. Some for instance are viewed as sidekicks of the assumed owners of the party. Some are seen as favourites of the landlords or founding fathers while others boast of their relative youth as a means of appealing to the growing youth population. The question, however, is who among the aspirants command a formidable structure to stand up to the entrenched myth of Akufo Addo. What is therefore needed to uproot the Npp and its demigod is a broad based movement with a counter cult like following that successfully showcases NDC as a changed platform that is ready to correct few mistakes it committed in the past. There is no doubt that the Npp took advantage of the hidden cracks in the NDC in 2016. A candidate boasting of youthfully energy without a message and pedigree that resonates outside the borders of the party is just wasting time. What the party require is a candidate that is proven fighter, a candidate with a natural gift of popularity across the party lines and a candidate who in addition to all that, has demonstrated a capacity to perform and mentor others before now. The NDC is not as formidable and united as it used to be because of peoples insatiable desires to lead the party. The party needs a candidate that will unite the party, bury all the cracks, close all groups and build a solid internal structure. This is where among the aspirants, John Mahama stands out. If President Akufo Addo can stand and boast of his phantom achievements in tackling our infrastructure challenges, Mahama has better success stories. When Akufo Addo sings about his bogus anti corruption fight and posture, Mahama posts variable successes. He sacked his ministers over alleged corrupt deals and unethical pronouncements, he arraigned his own appointees before the court who were later imprisoned, transparency international’s record under him vis a vis the current report. When Akufo Addo talk about power, Mahama has excellent record to trumpet. He added over 4000 megawatts of power to what he inherited. When Akufo Addo talk about education and health, Mahama’s record is A+ the community day secondary schools, the JSS, removal of schools under trees, the teaching hospitals and the district hospitals.